Valerie Frissen is currently director of the recently established SIDN Fund, based in the Netherlands. This fund supports ideas and projects that contribute to building a strong internet for all, and projects that use the internet in innovative ways to realize social impact. She is also Professor of ICT & Social Change at the Faculty of Philosophy of Erasmus University Rotterdam. Valerie is born and bred in the Netherlands and has a background in cultural anthropology, communication studies and science and technology studies. She is intrigued by how technologies shape and are being shaped by society and loves to teach, publish and give talks about this subject. Professionally, she has always combined academic research on ICT with other jobs such as strategic policy advice (specifically in the field of media, ICT & innovation). Before she was asked to set up the SIDN Fund, she was director of CLICKnl, a network organization for the creative industries in the Netherlands. 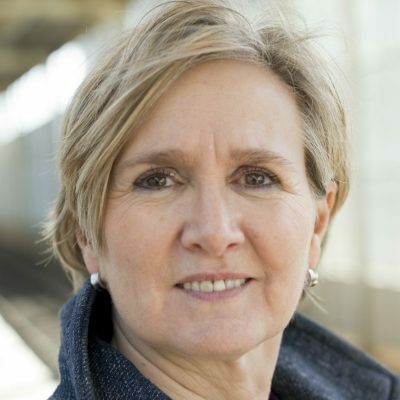 Valerie is and has been a member of many advisory and supervisory boards, such as recently the CAF (EC DG Connect Advisory Forum), AWTI (National Science, Technology and Innovation Board), NPO (Dutch public broadcaster) and the Dutch Creative Council. And finally she writes columns for the Dutch newspaper FD on tech trends.